1. 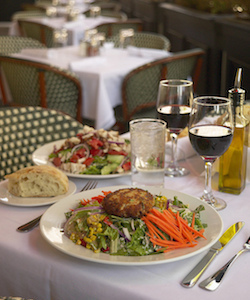 What are three of your favorite restaurants in Greater Des Moines? There are so many fabulous restaurants that have hit the local scene recently, it’s difficult to narrow it down to three! I would name Alba, Akebono and Centro as my top choices. Each of these restaurants have their own personality and vibe, with an ambiance that makes the dining experience more fulfilling. 2. What do you consider as the top local shopping hotspot or hidden gem? This hidden gem is not necessarily a shopping destination, but it is my own secret hideaway for business meetings, personal conversations and even a date! Zanzibar’s Coffee Adventure on Ingersoll is one of our best kept secrets in Des Moines. You are sure to see local business leaders sipping their coffee while flipping through the Register on a Sunday morning, and during the week, their 7 a.m. crowd can’t be beat. Be sure to arrive early. While Zanzibar’s has some of the best coffee and aroma’s in Des Moines, seating is at a premium. This question is perfect for summer in Greater Des Moines. There are so many musical treasures to enjoy in the coming months. I am a lover of the Jasper Winery Summer Concert Series, Nitefall on the River, Yankee Doodle Pops and 80/35 Music Festival. 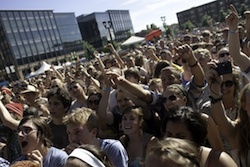 There are wonderful live music additions to Winefest and the Des Moines Arts Festival, also. I recently discovered the Mexican restaurant, El Patio, with friends where we found Max Wellman playing piano to a small group of tables within the dining area. It was a surprise to us, and a lovely addition to the evening. There are nuggets of musical talent sprinkled throughout Greater Des Moines if you just go searching! 4. What local festivals or events are on your can’t-miss list every year? I currently serve on the Winefest Board of Directors, so this event is near and dear to my heart. We expanded the event to seven days last year and have received rave reviews for doing so! 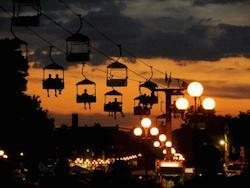 Winefest will take place June 1-7, 2014, at the Iowa State Historical Building, and our theme this year is “Back To Our Roots.” Secondary to Winefest for me is the Iowa State Fair. My extended family camps at the Fairgrounds for nearly three weeks, so I have an “insider” perspective on the State Fair lifestyle. I don’t think people realize just how much our State Fair has to offer. Brilliant artwork and design, musical options for all tastes, insight into business and industry and activities to fill your schedule for 12 straight days. 5. What makes Greater Des Moines unique from other cities? Greater Des Moines has received a large amount of press and attention over the past year for our accomplishments – and for good reason. I could certainly speak to the lower cost of living, ease of commute or navigation, local amenities and pleasurable demeanor of our residents – but we all know that. Outside of living and working in Greater Des Moines, I have the opportunity to serve and work alongside several community event organizations, nonprofit boards and networking groups. I see firsthand the passion that our Greater Des Moines colleagues have for our city, and we are boundless. We continue to improve the infrastructure of Des Moines to aid in economic development initiatives. We strive to build upon our arts and culture scene to make Des Moines more attractive to both guests and residents. We are working to expand our talent pool to keep young people in our state and community to add value to our business climate. And – above all – we are a community that listens. We care about what our Greater Des Moines neighbors think, and we are willing to take action if the request is for the greater good. 6. What about Greater Des Moines’ history intrigues you? 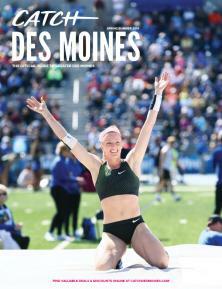 dsm Magazine ran a story in their Spring issue on the naming of the street systems within Greater Des Moines. This was incredibly intriguing to me, as nearly 578 out of our 712 streets are named after famous local business or political leaders of past. We give directions using these street names, we plan events around them and we’ve come to make them an integral part of our city. It’s clear that our Greater Des Moines community holds tightly to the individuals who have made Des Moines the community in which we live today, and I enjoy that we continue to honor and respect our leaders gone before us. Susan R. Hatten works, by day, as a Senior Business Development Executive at a Midwest firm, and by night plays host to community activities, philanthropic engagements and social soirees. In addition to contributing articles to the Huffington Post, she enjoys an active lifestyle, including travel for both business and pleasure, workouts, wine and is an avid entertainment goer.